Mom, we need this for the river! 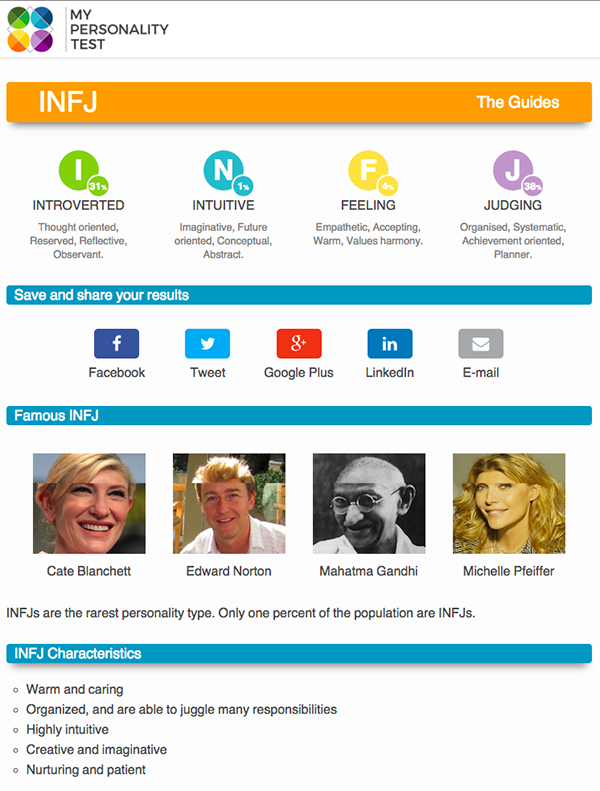 Also… have you taken the Meyers-Briggs personality test? I did last night and here are my results. I wonder if they’d be different if I took my time and thought more about my answers rather than being distracted by Orange is the New Black? Warm and caring, nurturing and PATIENT. Nope. Not me. Have a great weekend – I plan to continue decluttering and start some long-overdue projects. This week (with a holiday landing on a Wednesday) really messed me up… I feel like we had two mini weekends. The good news is it allowed me to check-off three things from my 100 days of summer to-do wish list.